Scott Davies admits he is delighted with his Tour of Britain showing as he finished the race as top Brit. The Carmarthenshire rider was 12th overall – one minute 54 seconds down on winner Julian Alaphilippe after Sunday’s eighth and final stage. 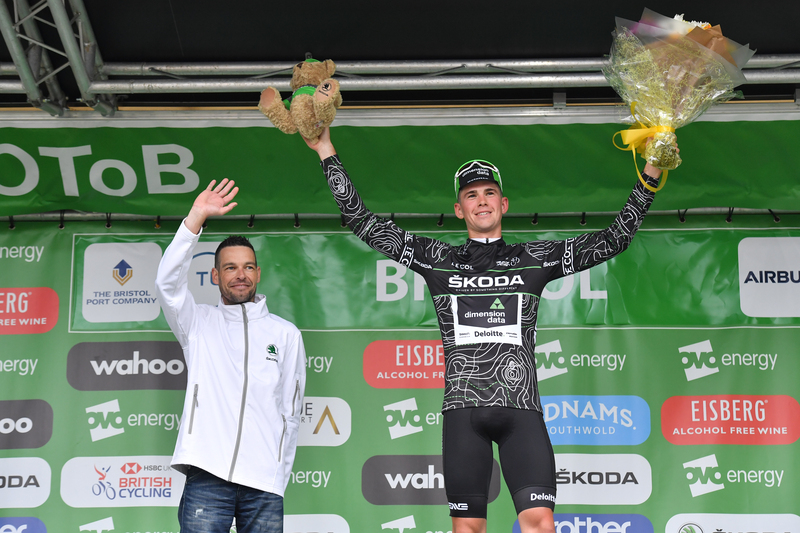 Davies also led the King of the Mountains classification for a couple of days eventually finishing sixth as Team Dimension Data team-mate Nic Dlamini took the black jersey. The 23-year-old said: “It has been a great week with the King of the Mountains jersey and myself being able to finish 12th in the GC. “It’s been a really good week for us. We raced aggressively and we are happy with it. Stevie Williams was 37th (+9:42) riding for the British team with Jon Mould 97th (+38:02) riding for JLT Condor.